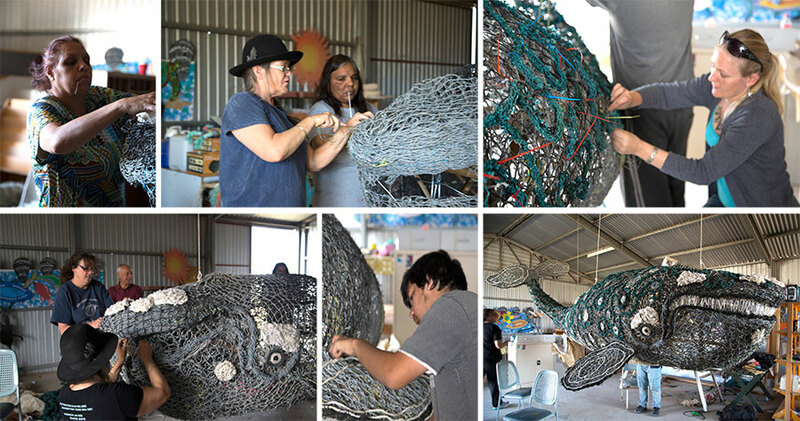 Jidrah the Whale is a marine debris artefact produced by the artists from Arts Ceduna and facilitators Sue Ryan and Pam Diment in partnership with Ghostnets Project Australia, Natural Resources Alinytjara Wilurara, Ananguku Arts and Arts Ceduna. 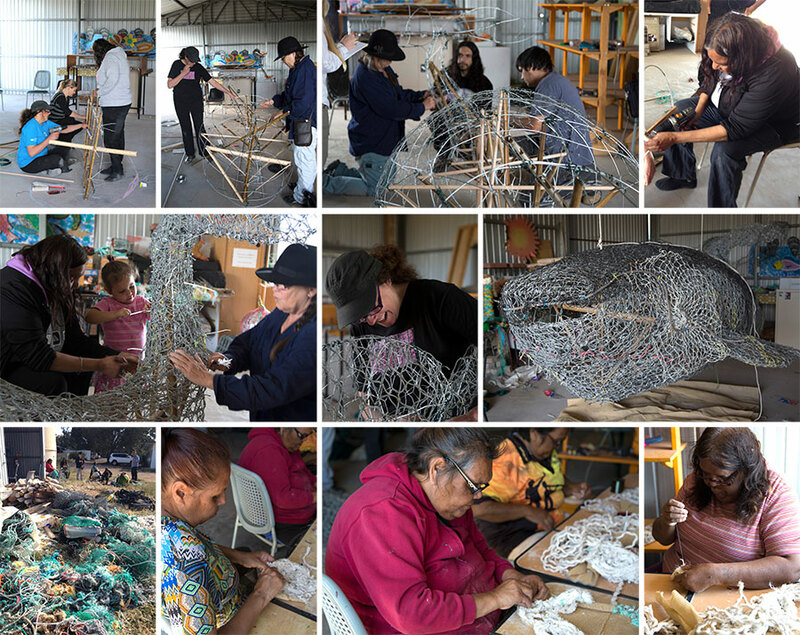 More than twenty artists participated in this exciting workshop, which was the first of a series of three workshops that have and will be hosted between 2015 and 2018. 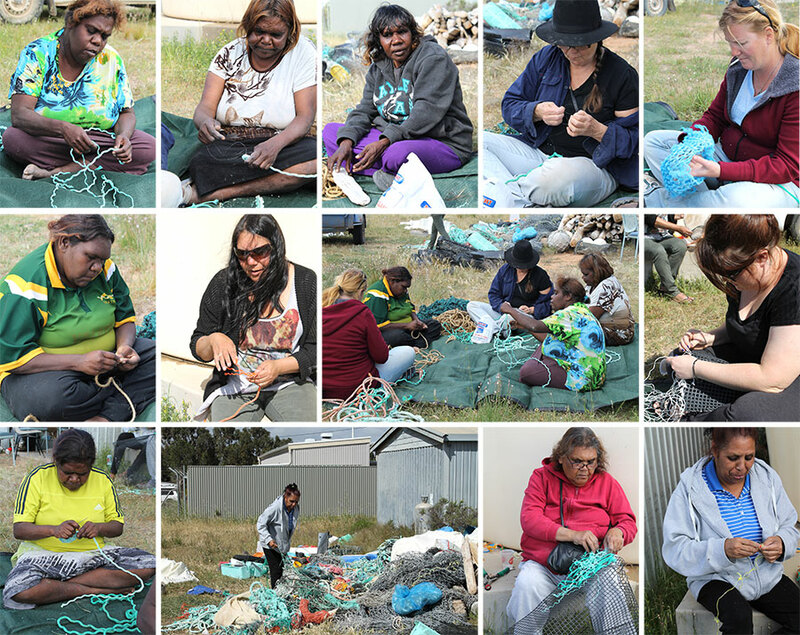 The marine debris is collected by youth from Yalata and processed into artefacts. 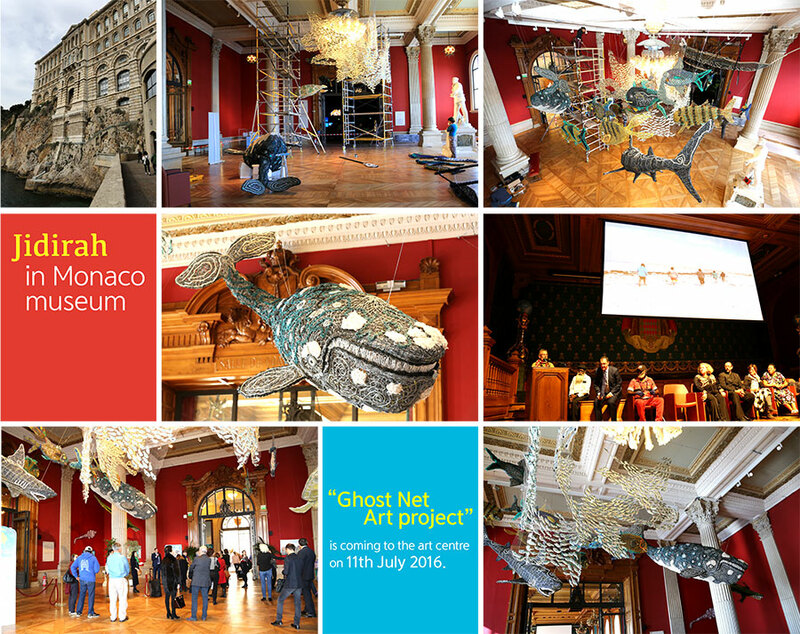 Jidirah was a most impressive artefact produced during the first workshop. From Arts Ceduna Jidirah travelled to Tandanya in Adelaide, Sydney, Monaco and Paris and it seems that his travels are not soon coming to an end! 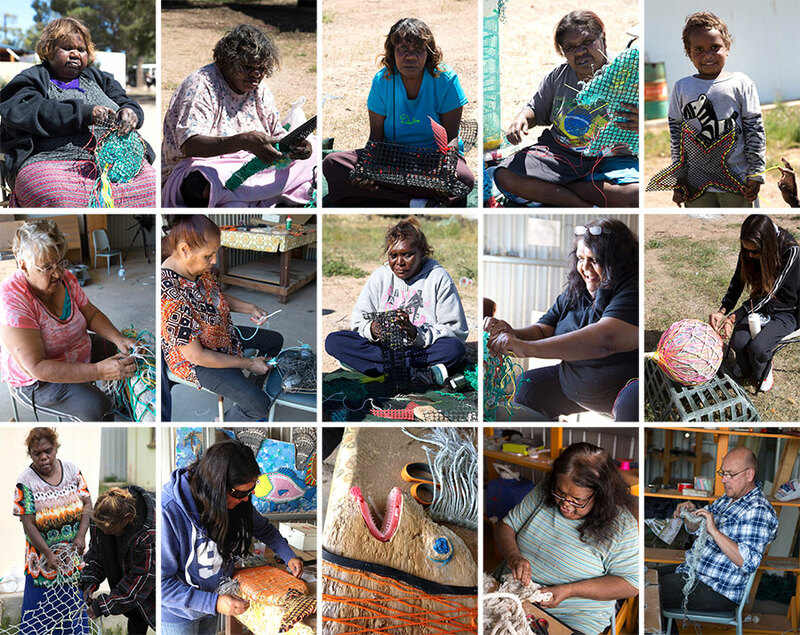 This project was generously supported by Country Arts SA, Natural Resources Alinytljara Wiluṟara and Ananguku Arts.